Drake has took to social media to reveal what his new album will be called and when he will release it. 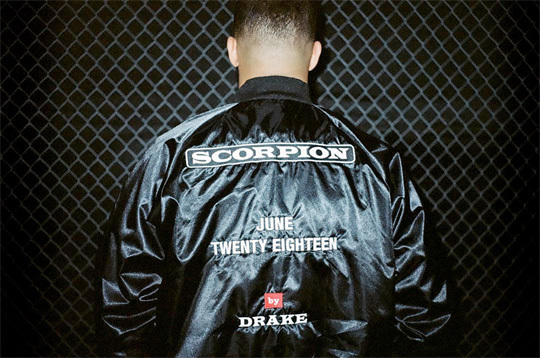 The 6 God posted a photo of him wearing a jacket that read “Scorpion” and “June Twenty-Eighteen”. More than likely, Drizzy Drake‘s “God’s Plan” and “Nice For What” singles will appear on the project. Rolling Stone magazine has also confirmed that Drizzy‘s upcoming Scorpion album will drop in June of this year!